Decent dumplings and bao by the beach. If your mental images of Chinese restaurants mainly consist of large, ornately-decorated rooms bustling with trolleys of dim sum dishes, Mahjong is ready to strip away those assumptions. The venue has a distinct industrial feel with polished concrete, painted brick walls and an impressive marble bar. The menu covers a broad span of Cantonese favourites with a few modern twists (mini wagyu bao burgers, for one). 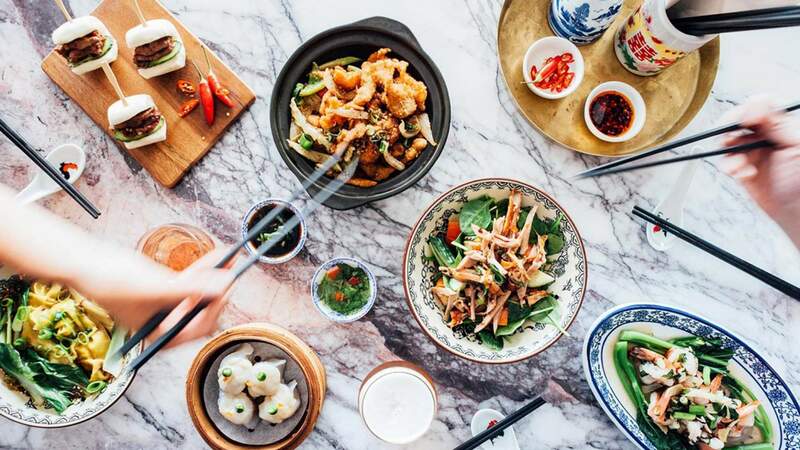 If decisions are not your strong suit, the daily chef selection banquet is a good option to cover all your bases — or head along to a weekend yum cha service.